How do I buy a WaveMAX Laundry Franchise? Make Money Even When You're Not There. WaveMAX is looking for professionals who want to build a multi-unit franchise empire with this unique laundry franchise. 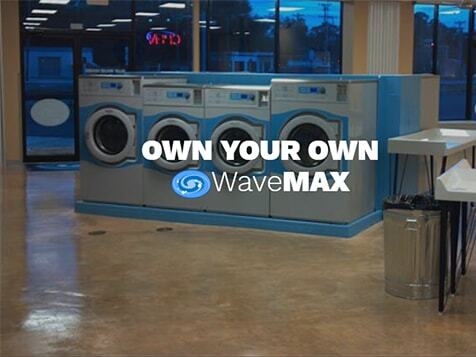 WaveMAX is changing the way coin operated laundry locations are perceived and operated. Requires few employees. Learn more about the cost and benefits of running a WaveMAX laundry franchise. Open WaveMAX Laundry in any of these available states: AK, AL, AR, AZ, CA, CO, CT, DC, DE, FL, GA, IA, ID, IL, IN, KS, KY, LA, MA, MD, ME, MI, MN, MO, MS, MT, NC, ND, NE, NH, NJ, NM, NV, NY, OH, OK, OR, PA, RI, SC, SD, TN, TX, UT, VA, VT, WA, WI, WV, WY. WaveMAX is a very unique franchise opportunity! WaveMAX is the franchise for you. We are looking for professionals that want to build a multi-unit franchise empire. WaveMAX has developed a system to change the way coin laundry locations are perceived and operated. The industry is made up of Mom and Pop operators who are taken advantage of by the washer and dryer Distributors whose sole purpose is to sell equipment to these non-business savvy operators. The industry has no brand, no business sophistication and massive turnover from operator to operator. Location, Location, Location. We have developed our own proprietary approach to discerning the best possible real estate play for our locations. Layout and Store Design drives cleanliness, sense of security and repeat business. 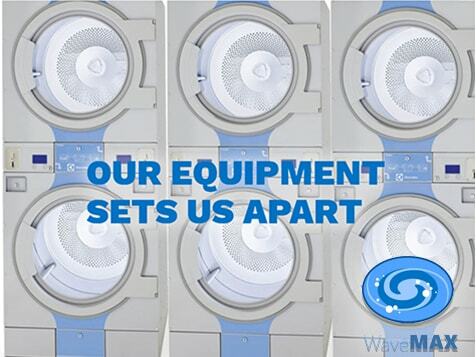 We use best Construction, Operational Practices & Green Initiatives in our WaveMAX Laundromats. We will provide the proper store design and layout for each location. Don't worry, we have done this before and know what you need. Our store design sets us apart from the competition. We have partnered with ElectroLux (one of the largest commercial laundry manufacturers in the World) and utilize their AWS feature which determines the use of the precise amount of water needed to wash the clothes. We also use their Eco Power dryer line. As the clothes dry, Eco Power determines the "dryness" of the clothes thereby reducing the amount of gas utilized as the load moves through it drying cycle. We are "Coin only". No card readers or loyalty programs. Our customers have been surveyed and they absolutely prefer coin to card. 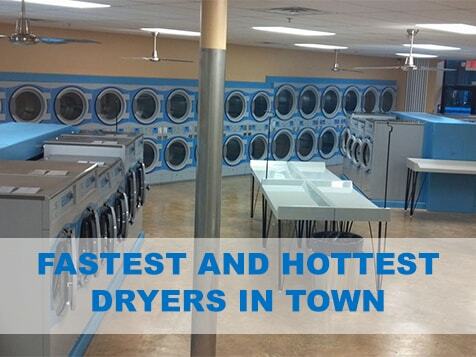 We have partnered with the industry leader for commercial laundry equipment! We are looking for business partners. Not someone who is looking at opening a store and bleeding it dry. We want our owners to take pride in their investment like we have done at the Corporate store. (We never get tired of hearing how clean and professional our store is compared to the rest of our competitors) A clean, safe, and fully attended store maximizes the store's potential and makes it a destination within its market. This industry is known for old, tired, dirty "ZOMBIEMATS." We want Franchise Partners that will faithfully maintain our brand! WaveMAX Laundry is not currently active in our directory, but here are some other recommended selections for you to explore.